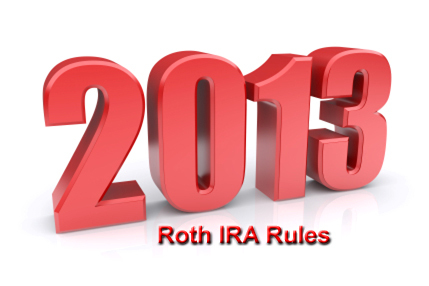 What are the 2013 Roth IRA rules? Does the IRS impose income limits on contributions? What about income limits on conversions? And what are the rules for conversions and rollovers? Those are great questions, because before you open a Roth IRA, you need to know the basic rules of the game. Fortunately, the IRS kept the rules pretty simple. Learn the 2013 Roth IRA rules for each of these topics, and you'll know just about everything you need to know about your Roth IRA for the 2013 tax year. Like previous years, the 2013 Roth IRA rules require you to fund contributions with after-tax income. That means you can NOT make tax deductible Roth IRA contributions. If you're looking for tax deductibility, a Traditional IRA is your best bet. However, the disadvantage of non-deductible contributions is easily offset by the future tax-free growth and tax-free withdrawal of those same contributions. For example, let's say you fund your Roth IRA with $2,000 in after-tax income. You then use that money to purchase $2,000 worth of stock. After three years, the stock is worth $4,000. But instead of paying capital gains tax on the $2,000 gain, you pay zero tax. You can then reinvest the entire $4,000 in something new. 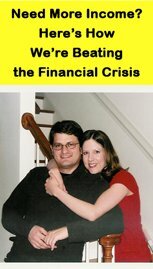 Thirty years later, when the $2,000 is worth $30,000, you can withdraw the entire $30,000 and not owe a single penny in taxes! The 2013 Roth IRA rules also require you to have earned income during the 2013 tax year in order to make a contribution. And the amount of your contribution can NOT exceed your earned income for the year. If your primary source of income is from a current job or business, this shouldn't be a problem. However, if you're retired and living off of a pension or social security, you can only contribute from your earned income. You can't contribute funds from your social security check to a Roth IRA. Also, if you're a minor, you can't contribute gifts from grandparents or family members - only the money you earn and report as taxable income. The 2013 Roth IRA rules don't dictate a minimum or a maximum age for opening or investing in a Roth IRA. However, the IRS does require the Roth IRA account holder to fund the account with earned income. Then you meet the age requirements to open and contribute to a Roth IRA! In short, there is no Roth IRA age requirement, just an earned income requirement. The 2013 Roth IRA rules limit your eligibility to open a Roth IRA or make contributions to an existing account based on your personal income. Your "income" in the eyes of the IRS is your Modified Adjusted Gross Income (MAGI). So that begs the question... what in the world is Modified Adjusted Gross Income? To find out, look at your IRS Form 1040 (the one you use for filing income taxes). Find the number for Adjusted Gross Income (AGI). Once you add back certain items, you'll come up with a figure for your MAGI. Then you'll be able to see if you meet the income limits for a Roth IRA. $188,000 for married individuals who file a joint tax return. $10,000 for married individuals who file a separate tax return and lived with their spouse at any time during the course of the tax year. The Roth IRA rules limit the annual contribution you can make to your account. Unlike a Traditional IRA, you can withdraw your principal contributions from your Roth IRA without incurring an early withdrawal penalty. For example, let's say you open a Roth IRA and contribute $4,000. Two years later, the account is worth $4,500. Under IRS rules, you can withdrawal up to $4,000 without incurring a penalty. However, the $500 gain can't be touched. However, exceptions to these rules do exist. They're called qualified distributions, and they allow you to withdraw funds without penalty for special purposes, such as funding of education expenses and the purchase of a first home. Just be sure to do your homework before taking advantage of one of these special exemptions. You don't want to get a surprise tax bill or penalty from the IRS.